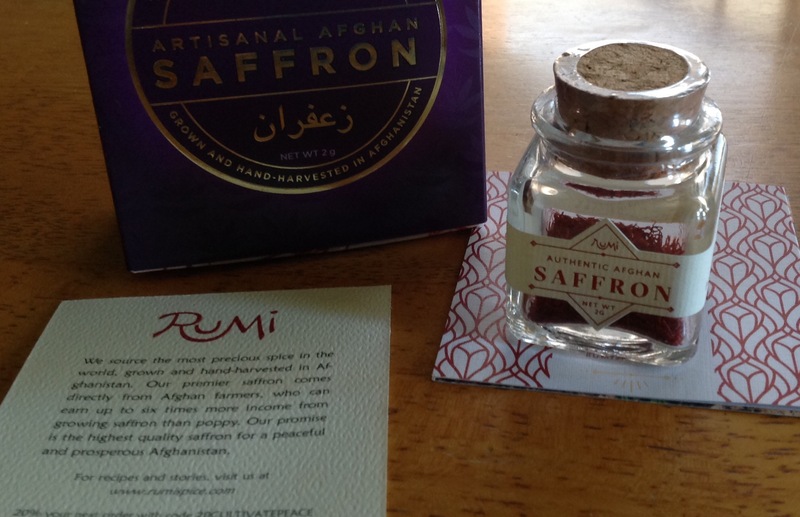 My brother is gifting me a 2.0 tin of Rumi saffron ( a Shark Tank funded food product in support of Afghan farmers and processing center Afghan women) this holiday. He and I got in a conversation about saffron tea and latte. I’m the tea drinker, bro loves latte. There are plenty of suggestions for creating both online but I wondered what tried and true saffron teas HOs have concocted. Based on what I’m reading on saffron tea, only a few strands are needed and steeped in hot water along with green tea, cardamom or lemon is as complicated as it needs to be. 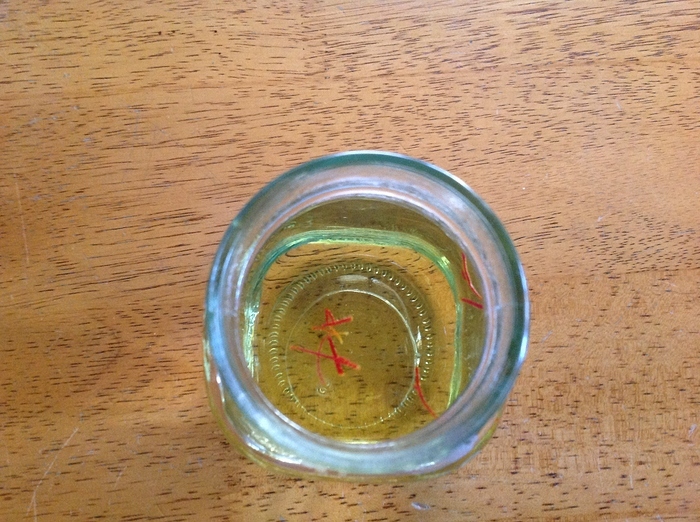 Leaving me plenty of saffron for other dishes. Perk! I also found an interesting iced tea with brewed rooibos and saffron combined. According to the producer of saffron met in a farmer’s market, she told me to crush the saffron before using them, the aroma would be stronger, i.e. use less. Use very little (a couple of strands max) and let it steep well. There’s a Kashmiri tea called kahwa that has green tea and saffron, and is garnished with almonds. Very interesting. But I also know folks who use it in regular indian chai - let the saffron steep well in hot water or milk first, the flavor really comes through even though conceptually it shouldn’t given the competing flavors. I’m a fan of saffron too. One way that I especially enjoy it is in cioppino (seafood stew). I crush the strands before using and steep them In just boiled water or maybe 1/4 to 1/2 cup of white wine to release the flavor and aroma. I guess that is sort of a “tea” though definitely not the sipping kind that @Rooster had in mind. Curious as to how the actual tea turns out! If you have saffron, try a couple of strands as “tea” - it’s very fragrant. We actually have it more in milk than in water - very common nighttime snack was a glass of warm milk with saffron, cardamom, and crushed almonds. The saffron is supposed to arrive Friday. I am eager to try the tea. Enjoying my first cup. Since this is a first, I didnt embellish. I taste a grassy flavor. Fragrance is super subtle I cant describe it beyond that. Need to play around with it. Ok, longer it steeps…more flavor now. very common nighttime snack was a glass of warm milk with saffron, cardamom, and crushed almonds. Sliced almonds just floating? Any sweetener? Yes, slightly sweetened with sugar or honey. If you’re making a daily thing of it, you can powdered the almonds, cardamom, and saffron and keep in a jar - add a tsp to a cup of warm, sweetened milk. 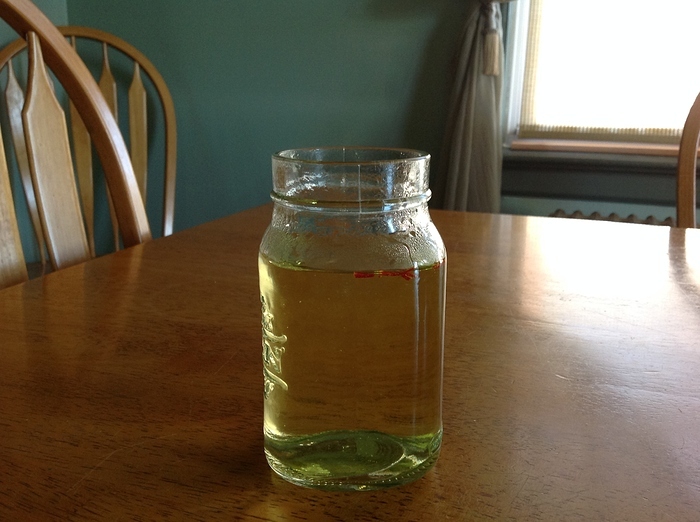 The tea you recommended Worked out very well. But I’m not that impressed with this brand of saffron. That’s too bad - especially for an expensive ingredient. Have your tried TJ’s? It’s a small packaging, pretty consistent quality. Costco’s is lovely, but a large amount. I will the next time Im at the store.